Extraordinary doctors talk about what they do, how they got there, and why medicine is so much more than a job. "Doctors' lives are always interesting, especially when the reader is allowed behind the curtain. 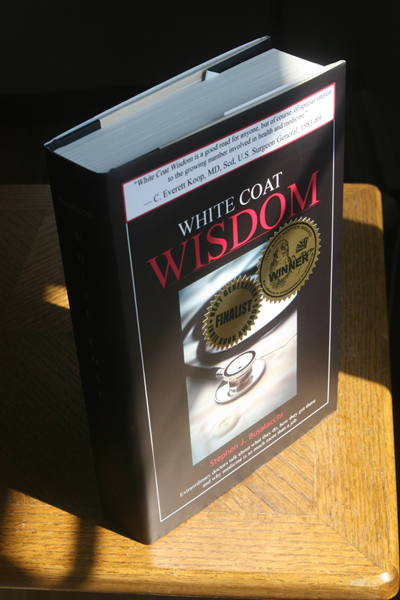 White Coat Wisdom is a good read for anyone." Seasoned public radio reporter Steve Busalacchi interviewed 37 doctors. He uncovered stories of invisible heroics, secret insecurity, and how to find fulfillment in medicine. A doctor who performs his own vasectomy? A doctor who faints at the sight of blood? "Steve has mastered the ability to allow his subjects the floor, and the practice of medicine from the view of the dear and glorious physician is expressed with all the triumphs and tragedies that are part of that world." Written for physicians and the people who love them! A perfect gift for pre-med or medical school students to get an uncensored sneak peek into the real medical profession. "The stories covered a huge range of topics through interviews with all kinds of doctors--different specialties, ages, personalities, etc. There were doctors talking about our dysfunctional insurance system, doctors who lobbied for gay rights, doctors who (impressively) work in end-of-life care and seem to love it, doctors who have come from wildly different pasts and other careers, etc. Every story was something different. I found it consistently interesting and inspiring. It was long, but I sort of wished it had been even longer. You really get a sense for what it takes to get through medical school and residency, and that it's not for the faint of heart. " "As a physician, I am often skeptical of books proclaiming insight into the world of medical training and practice, and therefore began this book with a jaded eye upon receiving it as gift from a friend. However, Mr. Busalacchi renders a collection of interviews that are as informative as they are touching. I was impressed by the breadth of topics, covering everything from early training, residency, a variety of practice styles, and even the politics of health care. With such a wide variety of topics, it would seem a difficult task to keep the average reader interested, but White Coat Wisdom pulls it off with style. Great gift for medical and non-medical people alike." Available in hardcover and audiobook. Early in my career as a public radio reporter, I was assigned the medical beat and called physicians for comment about various healthcare issues. Time after time, each person was not just articulate, but he or she was able to explain complicated scientific matters in a way a layperson could understand. I was struck by that. I thought to myself, I bet there’s a good story behind each of these people. How did they get like this? Who influenced them along the way? What have they learned? The overriding theme of this book is that true fulfillment in life comes after a lot of hard work, but also in doing something you're passionate about. And for doctors, it really is about helping others. Steve Busalacchi, of Madison, Wisconsin, is a veteran speaker, author, and PR specialist who first turned his passion for broadcasting into a radio career that began on Sunday mornings at Wisconsin Public Radio while he was attending the University of Wisconsin-Madison. Soon after earning his BA in Journalism, Steve became a full-time public radio reporter. His many years of exceptional communications experience work has been recognized dozens of times through various awards. 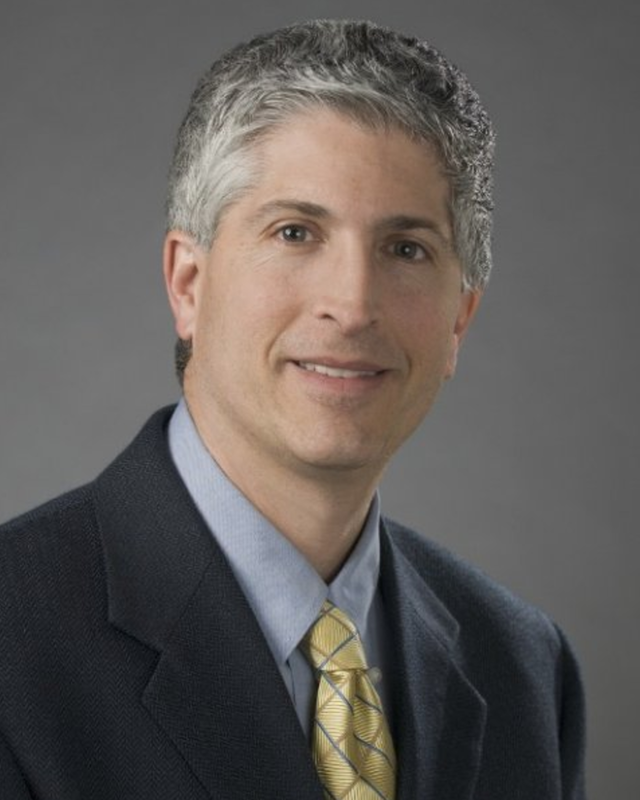 Steve is also an Honorary Fellow at the University of Wisconsin School of Medicine and Public Health. Steve is also active in the community and contributes to various organizations, including Madison South Rotary, where he is a Past President.